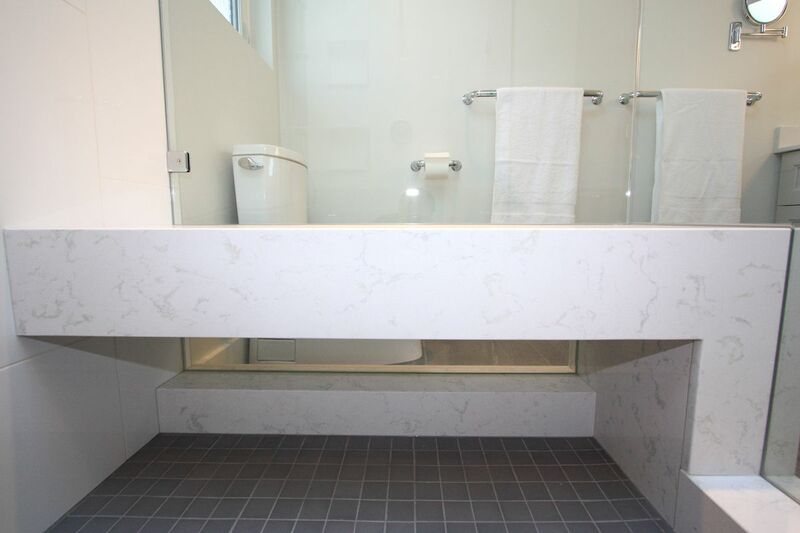 This ensuite was in much need of help. 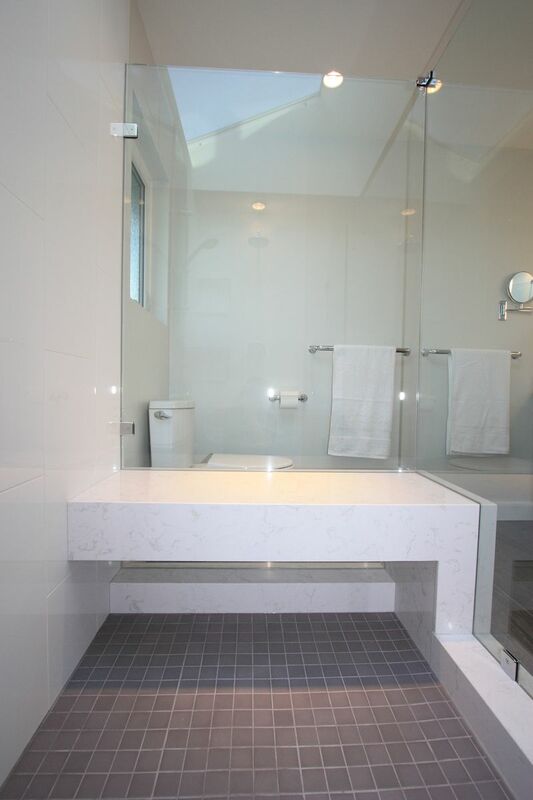 Poorly laid out and home to a tub that was rarely ever used. 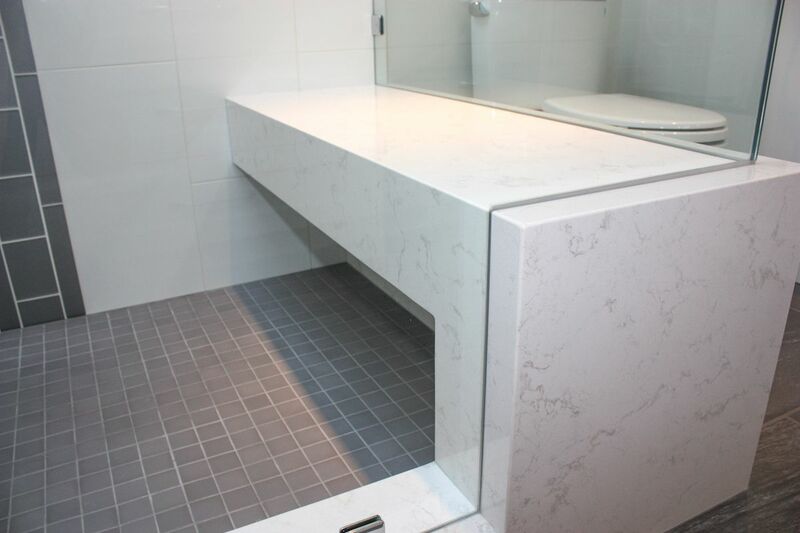 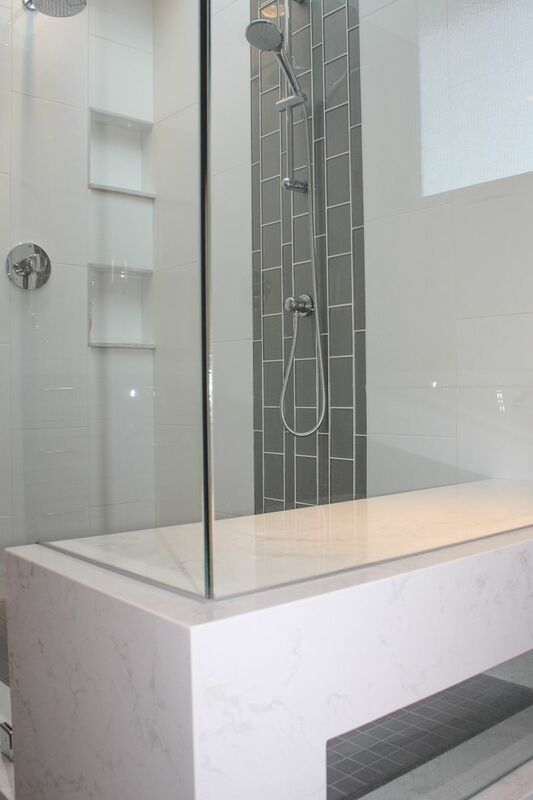 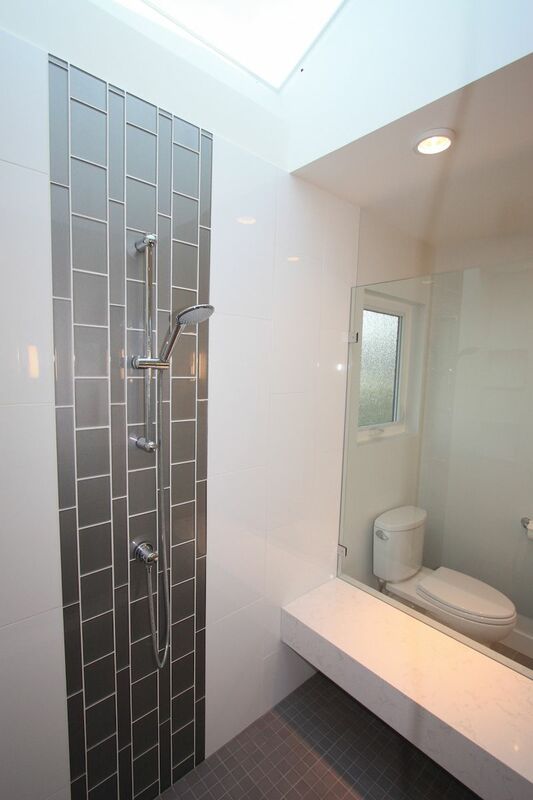 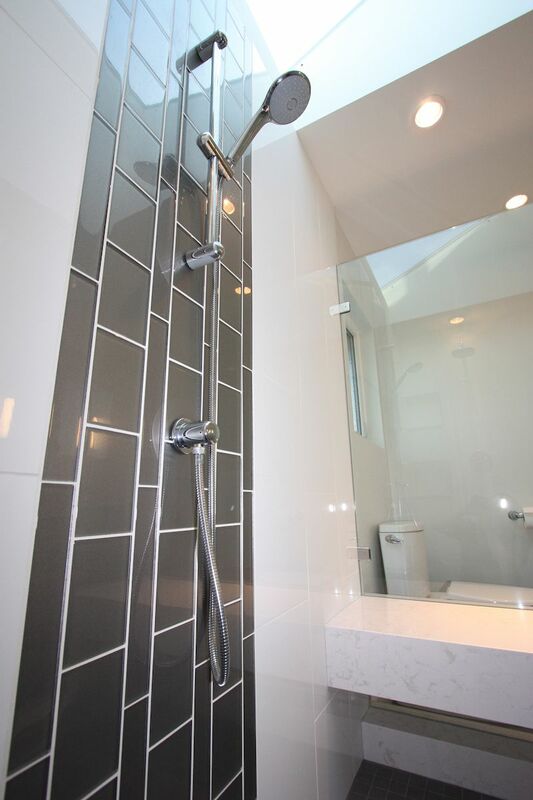 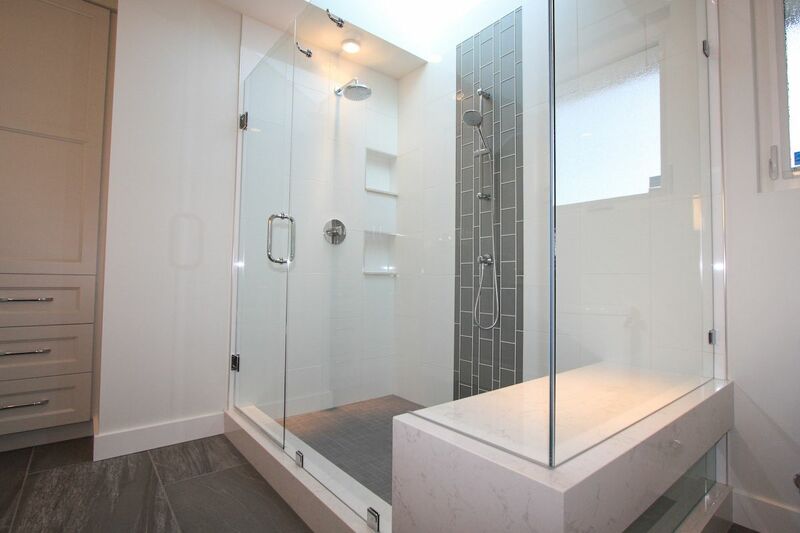 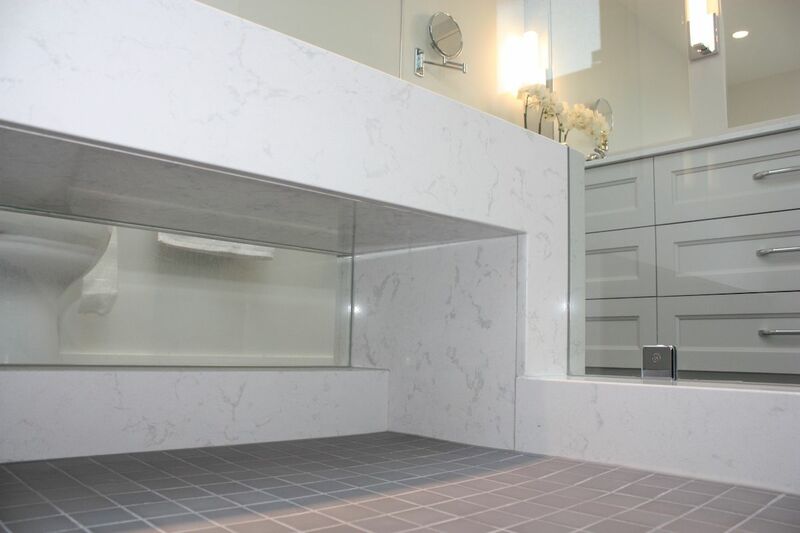 The new space is home to a generous shower with a floating quartz bench seat. 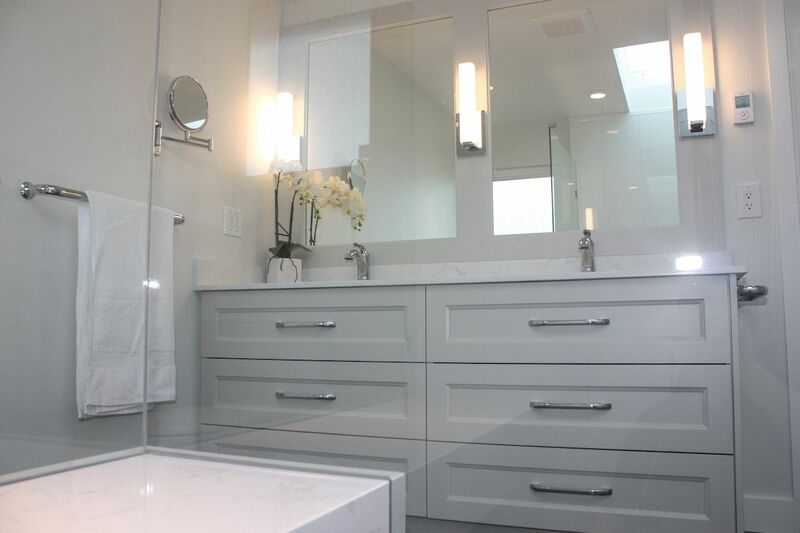 Bright white tiles make this formerly dark room an invigorating space. 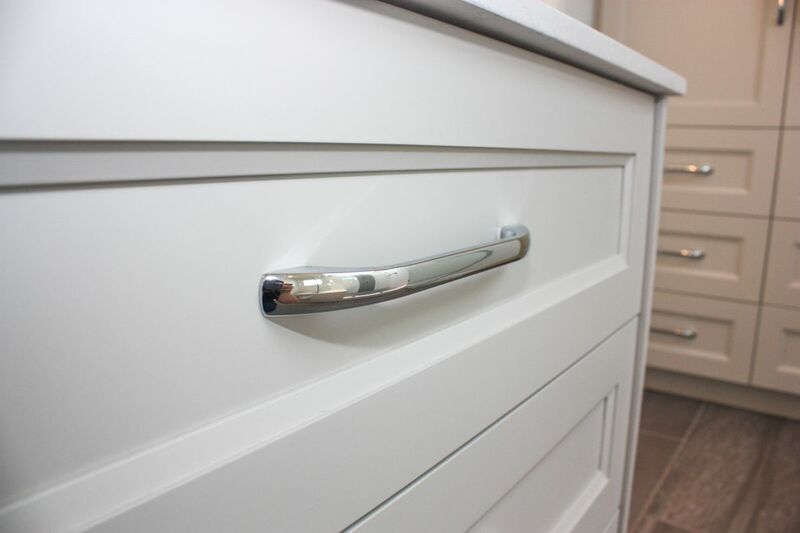 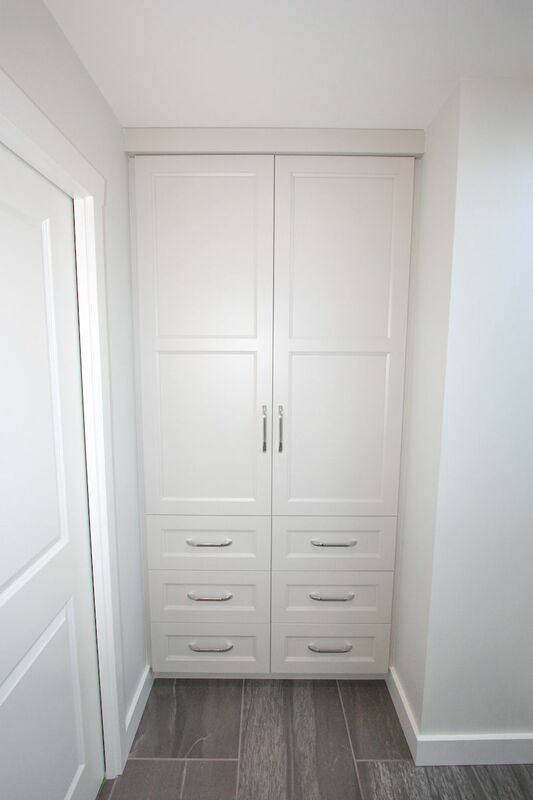 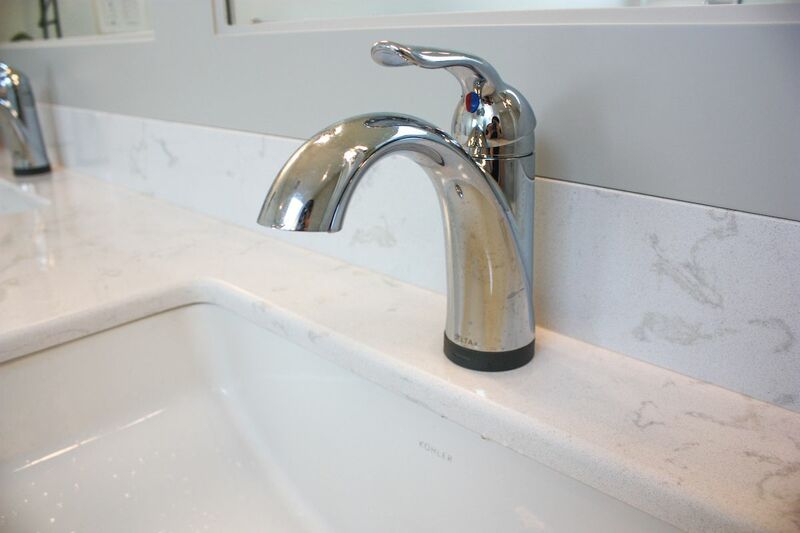 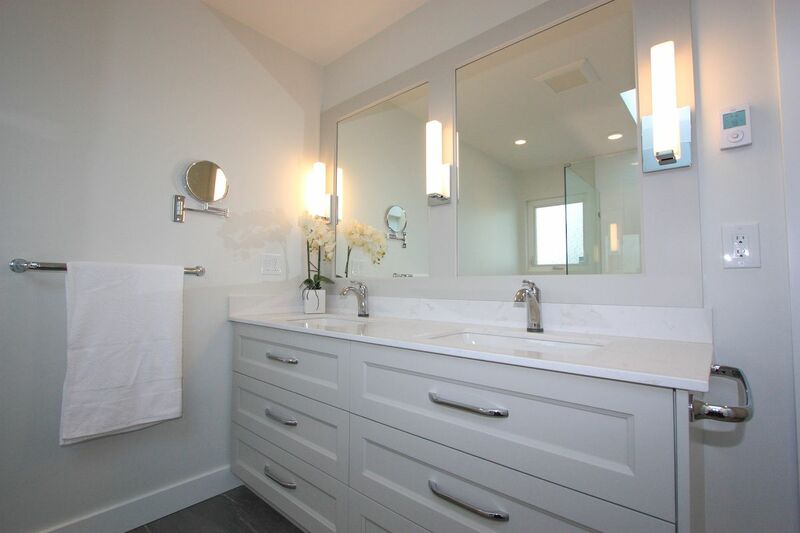 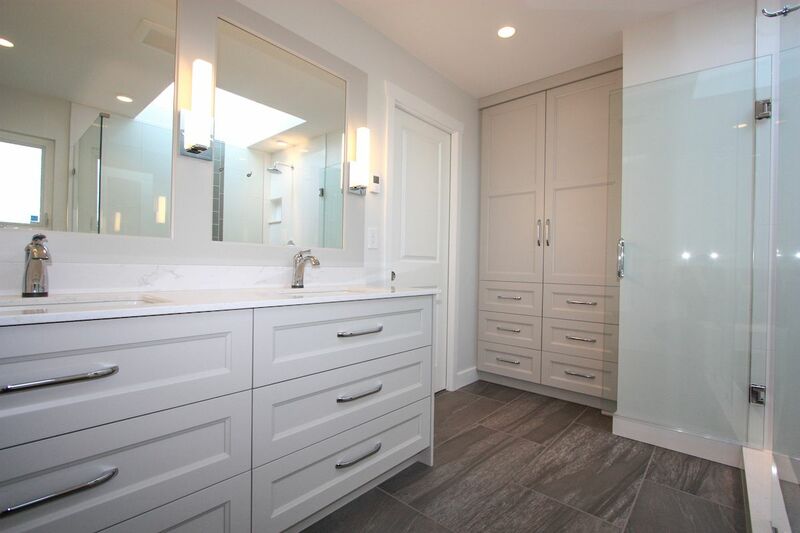 Custom millwork double vanity and built-in linen closet finish this space off perfectly.